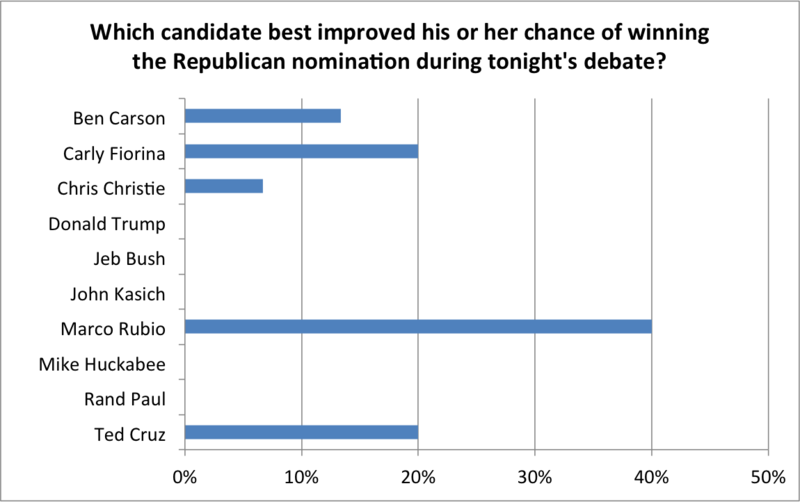 Marco Rubio is the winner of the October 28 Republican Debate, as he was deemed by our focus group as the candidate to have “best improved his or her chance of winning the Republican nomination”. We will be regularly updating this blog with commentary from our focus group and analysis of trading behavior during the game, so check back again soon. Special thanks to our focus group! Posted on October 29, 2015 October 29, 2015 by Dennis	This entry was posted in Uncategorized. Bookmark the permalink.